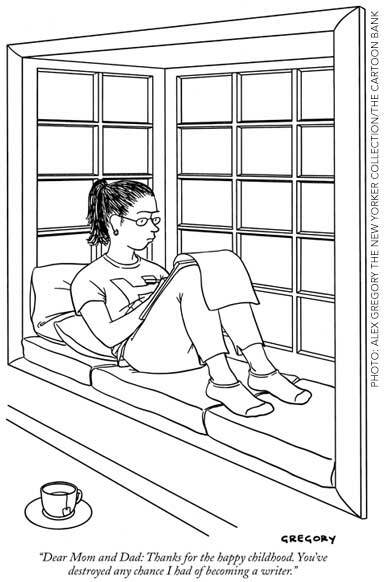 Hofstra University’s MFA in Creative Writing is home to a vibrant community of writers. They come to our program from as close as Long Island and from as far away as Angola, China, Hungary, Italy, Nigeria, and South Korea. At the heart of our program are workshops, craft courses, and literature seminars led by a distinguished faculty of actively publishing writers of international reputation. We believe in the power of language to embody everything human and that an empathic imagination can and must go where it pleases. With close mentorship, students discover their authentic voice and come to understand their place in the world as literary artists. Hofstra’s campus is in a nationally registered arboretum just 25 miles from New York City, the literary and publishing capital of the world. and the poet, Phillis Levin, recipient of the Poetry Society of America’s Norma Farber First Book Award, a Fulbright Scholar Award, the Amy Lowell Poetry Travelling Scholarship, and fellowships from the Guggenheim Foundation and the National Endowment for the Arts. Her fifth collection, Mr. Memory & Other Poems, was published by Penguin in March 2016. The Hofstra Master of Fine Arts Program is perhaps the largest single investment of time and resources you will ever make in your writing career. We are committed to making that investment a good one and to working with you individually as well as in small group seminars to make sure you get as much out of our program as possible. Our approach is to allow you the flexibility you need to grow as a writer. Each student must select a primary medium for her or his capstone work, the Master of Fine Arts project or thesis), but students are welcome to pursue course work in multiple genres. Each Fall and Spring, we offer as many as six classes for MFA students, including workshops, craft classes and literature classes. The heart of the Hofstra Master of Fine Arts in Creative Writing program is the workshop, intimate 2-hour weekly roundtables where students present and critique their work under the guidance of the course instructor. Workshops are complemented by craft classes (seminars focused on single aspects or techniques of craft) and carefully selected literature classes. and specialists in emerging media. Degree work may be completed in a two- or three-year timeframe. Most of our classes, workshops, and readings are scheduled from 4:30-8:20 p.m., Monday through Thursday. Hempstead is located just 25 miles from New York City, in close proximity to some of the world’s greatest museums, libraries, theaters, cultural centers, and concert halls. The location of the University allows students to take advantage of the extraordinary vitality of the literary and publishing world – readings and talks galore in Manhattan, Brooklyn, and Queens, as well as those taking place at Hofstra. Taking three classes a term, a student would complete the curriculum in two years. Typically, students take either 2 or three classes and either matriculate for a fifth term or complete their requirements with Summer session classes. At the close of their second semester, students are invited to apply for a limited number of professional fellowships supported by the program. These include Peer Teaching Fellowships and one of more Publishing Fellowships. Fellowships offer valuable professional and classroom experience. In addition, the fellowships carry a tuition remission of at least $2,000. Hofstra and the New York metropolitan area are the perfect place to grow as a writer. The Hofstra campus ius a major cultural hub on Long Island, and the campus welcomes frequent guests as diverse as Ralph Nader and Salman Rushdie. Even closer to home, the English Department annually hosts the Great Writers, Great Readings series. 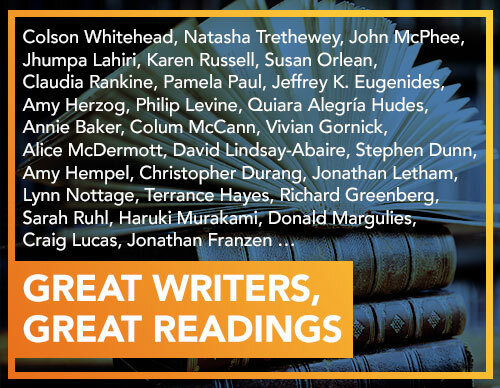 Some of the world-class writers who have come to read and talk to our students include Jhumpa Lahiri, Jennifer Egan, W. S. Merwin, Louise Gluck, Jeffrey Eugenides, Jean Valentine, John McPhee, Jonathan Franzen, Anne Beattie, Philip Levine, Lori Moore, Karen Russell, Gerald Stern, Frank Bidart, Emily St. John Mandel, Terrance Hayes, Mark Strand, Tom Sleigh, Annie Baker, Richard Greenberg, Lynn Nottage, Sarah Ruhl, Susan Orlean, and many more. The series is designed to give students exposure to a variety of voices and processes and career trajectories in order to demystify the writer’s life as well as the publication process. Attendance at all readings and events organized by the program is considered a degree requirement. For Spring, our priority deadline for scholarship consideration is January 1. The most important parts of your application are your personal statement and your writing sample. The writing sample, whatever the genre, should pull us in, hook us, and hold us tight until the last words of the last page. Less is more: 8-10 poems, no more than 15 pages, up to 20 pages of fiction or non-fiction, or a short play. Above all else, we are looking for talent. The personal statement should tell us about you and your literary interests, why you want to come to our program, what you have done before coming to us, and where you hope to go from here. We appreciate statements that are honest and revealing of the unique qualities of a particular candidate. You have 500 words to tell us about yourself, why you write, and why you wish to come to Hofstra. Our coursework schedule is designed for students who work during the day, and our three-year program allows for a more graduated schedule should you need it. We have a dedicated staff ready to help with questions about federal loans and alternatives. For more information on financial aid, visit this page. If you are interested in the Hofstra Master of Fine Arts program we invite you to attend one of our program events – an open house, an installment of Great Writers, Great Readings, or another social gathering. These provide opportunities to meet faculty and current students and ask questions that will help you understand what we’re all about. What are the workshops like? Which guest writers are on the schedule to visit and who has been to campus previously? Who are the current students? Can I take more time to complete my degree if I need it? These questions and more will be generously considered and answered by faculty and students alike. If you cannot come to one of our events, visiting our website and communicating with our faculty are also good resources. If you are accepted to the program and want to learn more, don’t hesitate to be in touch. We will speak with you and be sure to get your questions answered and also connect you with current students. For a full list of Graduate Admission events and open houses, please visit hofstra.edu/gradevent. To browse our program-specific events, please follow us on Facebook, Twitter and visit our Great Writers, Great Readings page.